The VW camper van inspired mini fridge is designed to fit on your countertop or camping trailer and meet your passion for camping. Like the vintage design from the classic camper van? Let’s continue checking. This is a pretty cool and practical mini fridge that measures approx 7.7 x 10.3 x 11.1 inches and weighs 3.96 lbs. As we can see from the images, the mini fridge is designed based on Volkswagen’s classic camper van, so the fridge door shows off the symbolic design from the front of the vehicle including a silver Volkswagen logo, and its smooth body is consistent with the look of the original camper van. 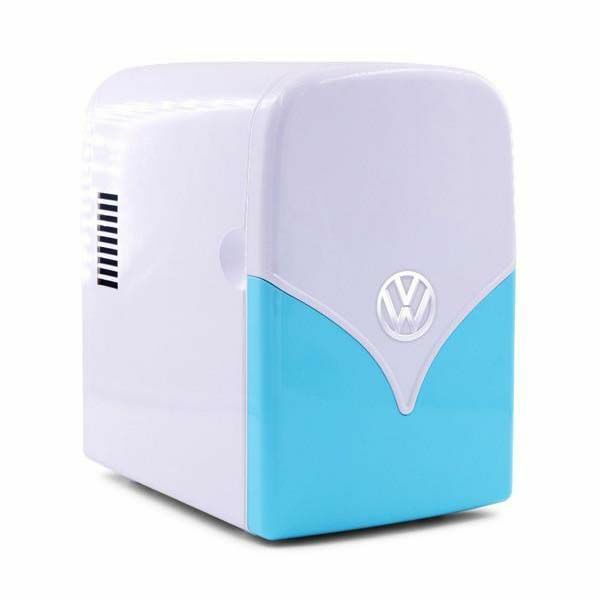 The VW camper van mini fridge delivers 4 liter capacity to hold up to 6 regular sized cans or your food and snacks, and its temperature range from 6 to 60 degrees centigrade enables it to chill your beverages or heat up your food. In addition, its feet ensure the portable fridge steadily stays on the countertop or in your camping trailer. 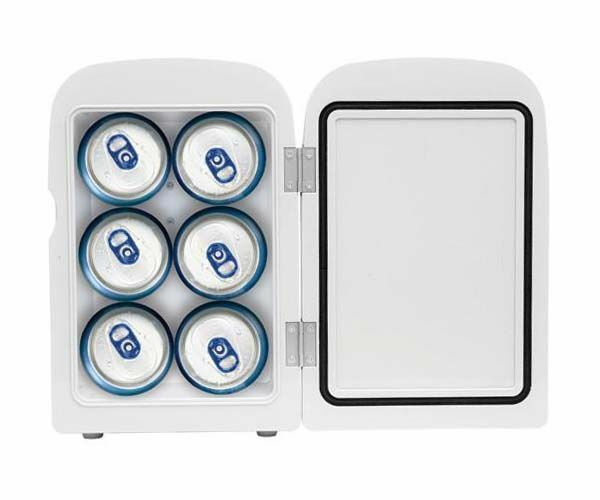 The VW camper inspired mini fridge is priced at £49.99 (approx US$65.7). If you’re interested, jump to The Fowndry for its more details. BTW, also don’t miss the VW camper van toaster and more related cool stuff by following tags.